Look Ma! 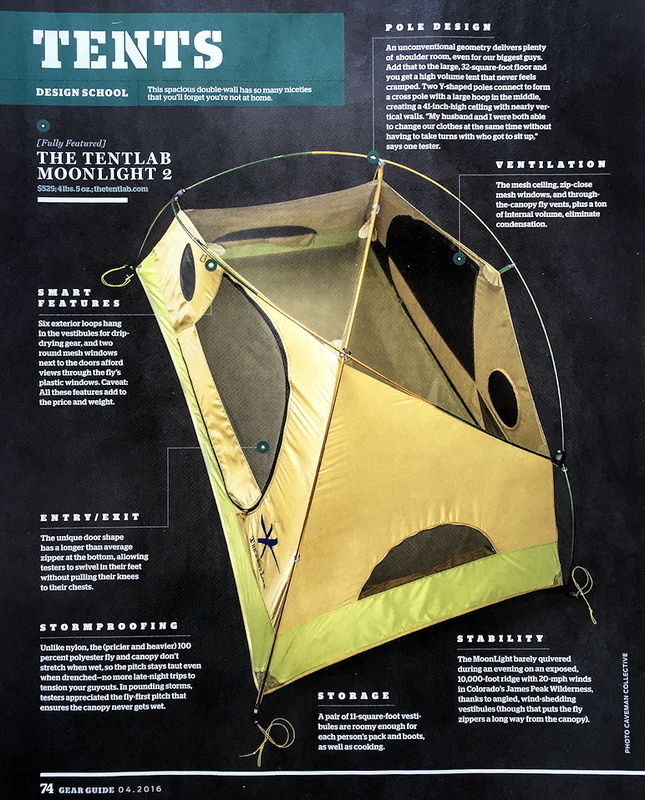 Backpacker Magazine gave a MoonLight 2 an entire page to itself! SWEET!!! It was a terrific feature with a ton of feature/benefits in those short and sweet captions. Still, some want more validation before they fall for my tent's Siren song; for them let me offer this observation: Backpacker doesn’t give an almost-nothing advertiser with almost-nothing market presence that much ink without liking the product a lot. Here’s the one mainstream review we got as a Kickstarter campaign. Everyone else told us to come back when we had something to sell in the warehouse (or garage as in our case). THANK YOU Ryan Stuart and GearInstitute.com! But I’m not going to give you the link just yet. Thinking about our great score on GearInstitute.com, it’s pretty clear that the MoonLight struck a nerve for the SW Canadian reviewer. By REALLY paying attention to weather-worthiness, the MoonLight 2 pretty much wiped the floor with the competition. As a designer, it’s incredibly gratifying to get a review like that. But I’ve been in the business too long not to know that we were also lucky. You have no idea how easily we could have had a reviewer who went “Ho-hum.” The ingredients that make the MoonLights work so well are not necessarily easy to fully appreciate. For instance, to many people, nylon fabrics are the 'normal' fabric of choice, the whole polyester-doesn’t-sag-when-wet thing usually goes right past 'em. 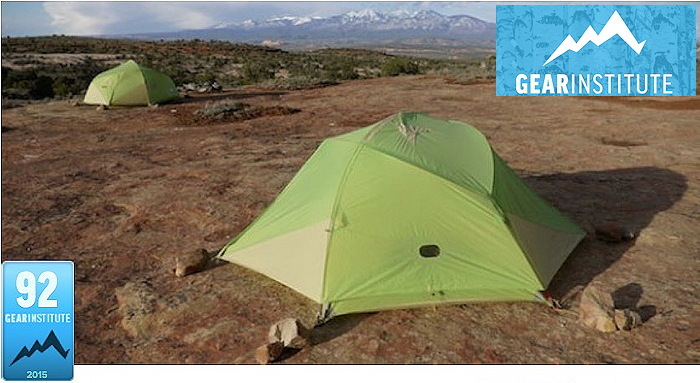 They literally don’t see the advantage until they personally witness two tents right next to one another. It’s a kind of willful blindness that, to be fair, every well adjusted personality is capable of — it’s a self defense mechanism: not to see problems that you instinctively know you cannot change. But, having just come back from a mass testing of tents, and being from a cold, wet and windy place himself, Ryan Stuart saw something very different from the ordinary in the MoonLight tents. Unlike all the other backpacking tents he’d just tested, the MoonLight simply, effortlessly, and seamlessly PERFORMED — and he noticed. Whew! Has any other tent of ours had mold? No, and I’ve specifically emailed every MoonLight tent owner over the last three production runs. There have been no reports of mold. At some point we have enough tents out there that someone is going to have mold, just based on the odds (because ANY tent that's packed wet for a long time will mold), but I take it as a good sign that it hasn’t happened yet. Was there anything different about the review tent? Yes, it was an early prototype and was made from spot-bought fabrics that came from Taiwan. The more I think about it, the more I’m convinced that the fabric manufacturer had a roll with a dirty end that was then put into the prototype. Even if the tent factory had spotted the problem, they likely would have allowed it to be used in “just” a prototype. 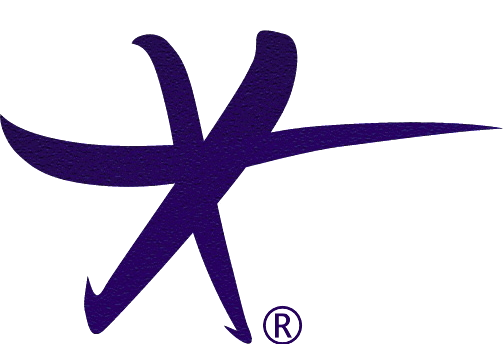 Current fabrics are bought directly from a fabric weaver. They are woven and finished in Korea. Is there any reason to think that the MoonLights materials should be more or less resistant to mold?